The wall grew around me, my own hands to blame. I carefully layered those stones made of shame. Insuring my fortress would firmly remain. Yet all of this effort – a waste, just the same. 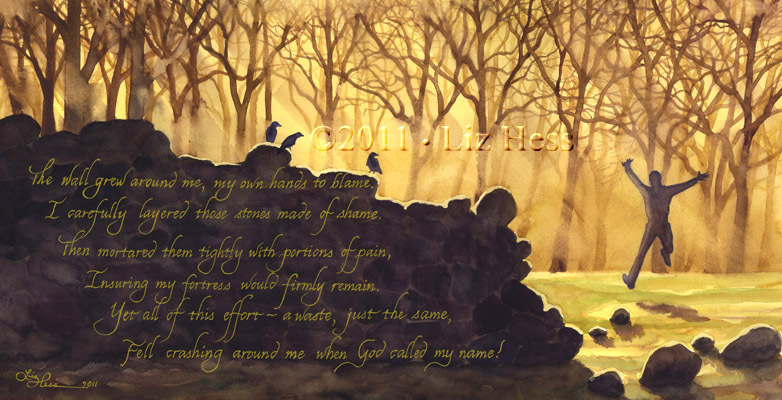 Fell crashing around me when God called my name! SKU: N/A. Category: Sacred Collection.